LOCATION.--Lat 42°09'23", long 78°42'55" referenced to North American Datum of 1983, Cattaraugus County, NY, Hydrologic Unit 05010001, on left bank 230 ft upstream from Main Street bridge in Salamanca, 1.3 mi downstream from Great Valley Creek, and 1.6 mi upstream from Little Valley Creek. PERIOD OF RECORD.--September 1903 to current year. Monthly discharge only for some periods, published in WSP 1305. Prior to October 1964, published as "at Red House" (03011500). REVISIONS HISTORY.--WSP 1385: 1907, 1909-12, 1913 (M), 1914-15, 1916-17 (M), 1925, 1927. WSP 1907: Drainage area. GAGE.--Water-stage recorder. 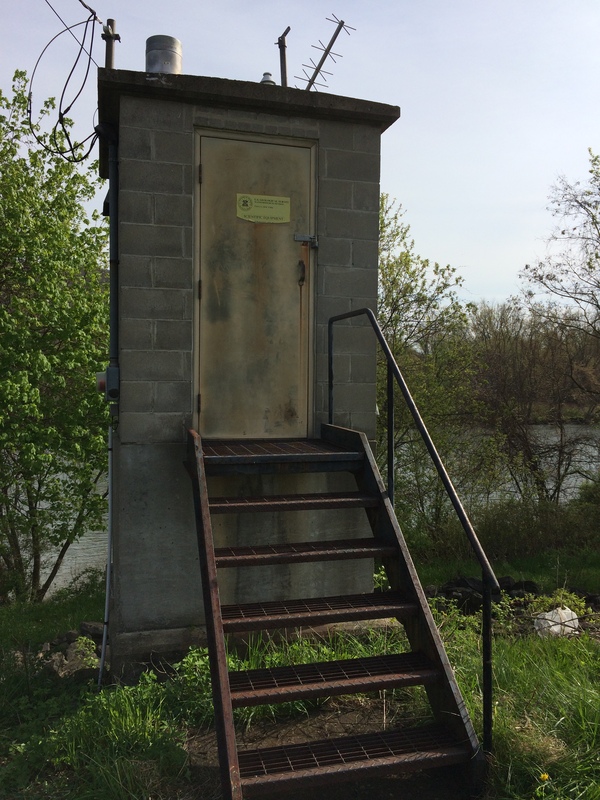 Datum of gage is 1,358.00 ft above NGVD of 1929 (Corps of Engineers bench mark) and 1,357.49 ft above NAVD of 1988 (VERTCON). Prior to Sept. 3, 1917, nonrecording gage, and Sept. 3, 1917 to Sept. 30, 1964, water-stage recorder, at site 7.5 mi downstream at different datum. EXTREMES FOR PERIOD OF RECORD.--Maximum discharge, 73,000 ft³/s, June 23, 1972, gage height, 24.01 ft, from floodmarks; minimum daily discharge, 79 ft³/s, Sept. 10, 11, 1971; minimum instantaneous discharge not determined. PERIOD OF DAILY RECORD1.--WATER TEMPERATURES: October 2011 to current year. INSTRUMENTATION1.--Water temperature recorder since October 2011 provides 15-minute interval readings. EXTREMES FOR PERIOD OF DAILY RECORD1.--WATER TEMPERATURES: Maximum, 28.8°C, June 27, 2016; minimum, 0.0°C, on many days during winter period.